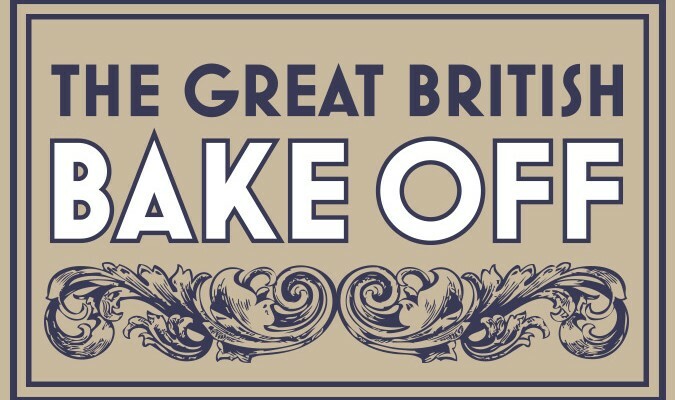 How is it the second week of The Great British Bake Off already? And how much do you love Val? She needs to stay in that tent for as long as possible. I totally would have made ice cream iced biscuits too. So yeah, last night brought us biscuit week. 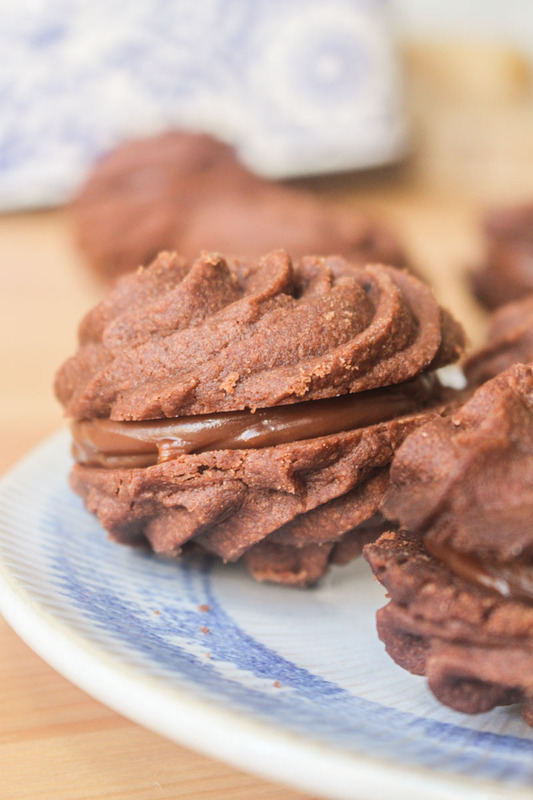 And today I’m bringing you some Chocolate Orange Viennese Whirls I made at the weekend. Alright, so I didn’t quite follow the rules of the biscuit week technical challenge, but surely you know how much I love to add chocolate to everything in sight by now. The trick to getting the proper whirly shape that you absolutely need, is to warm the dough up in your hands before piping, and then chill the piped biscuits in the freezer for 15 minutes before baking. The warming of the dough is super important, as this dough isn’t going to want to go through a piping nozzle at all. But warm biscuit dough always results in spread and loss of shape in the oven, so chilling is mandatory. You can help the piping process along a bit more by making sure to beat the butter as much as possible at the start. The fluffier and softer you can get that butter, then the more easy your life is going to be. 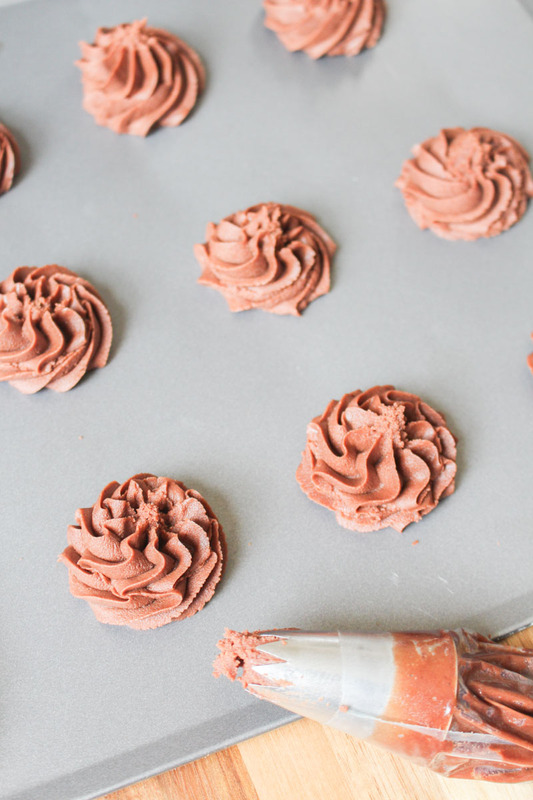 The ganache piped in the middle of these little cookies is made with dark chocolate. You are going to want to use chocolate with a fairly high cocoa content (>65%), as I find this is much less likely to result in failed ganache. You know, that horrible split mess that no one wants to go anywhere near. If the unfortunate happens and your ganache does start to split then make sure you get an electric whisk in there as quickly as possible to try and save it. I feel like these biscuits could have gotten me the star baker title this week, although my gingerbread recreation of the Battle of Hogwarts probably wouldn’t have been so easy to pull off. 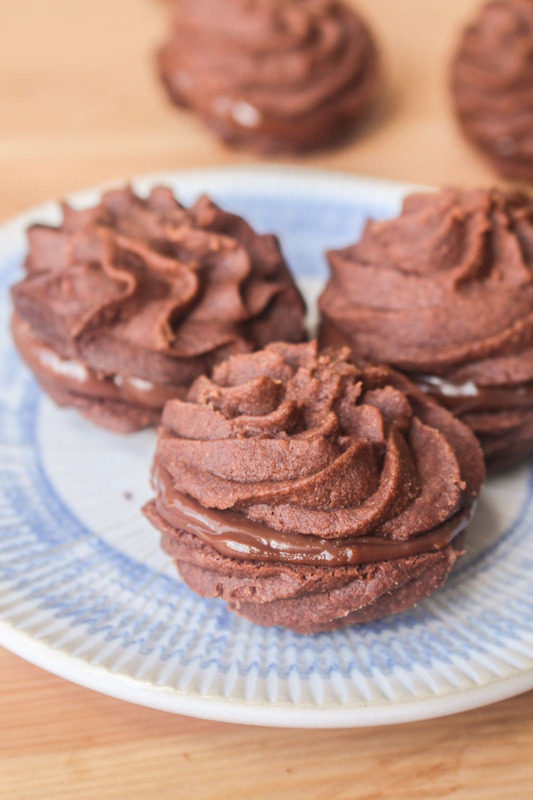 Chocolate Viennese Whirl biscuits sandwiched with chocolate orange ganache. Preheat the oven to 190°C / 375°F (170°C fan), and line two baking trays with baking parchment or greaseproof paper. Cream the butter thoroughly, until light and fluffy, using a stand or hand mixer. The creamier the butter, the better. Add the icing sugar, and beat well. Add the flour, cocoa powder, cornflour, and vanilla extract to the bowl. Beat on a low setting until just combined. Fit a piping bag with a large open star nozzle. Spoon some of the mixture into the piping bag, and pipe whirls onto the lined sheets, about 2 inches across. It can help to draw circles on the underside of the baking parchment to act as a guide. If the dough is too thick to pipe properly, then warm it up in your hands until it pipes more smoothly. Place the baking sheet in the freezer for 15 minutes to harden up the piped whirls. This will help them keep their definition and shape when baking. Bake in the preheated oven for 12-15 minutes, until they feel hard. If they start to go dark brown around the edges, then remove immediately. Leave to cool on the baking sheets for 5 minutes, and then carefully place on a wire rack to cool completely. Break the chocolate into small pieces and place in a bowl. Set aside. Pour the cream into a small saucepan, and heat gently until small bubbles start to form. Immediately pour the cream on top of the chocolate, and leave for a couple of minutes. Stir the cream into the chocolate until completely melted. If the chocolate isn't completely melted, then pop in the microwave or over a bowl of boiling water and stir until completely melted. Add the butter and orange extract, and stir until the butter has completely melted. Put the ganache in the fridge to cool until it is thick enough to pipe (about an hour). Once thick enough, pipe onto half the biscuits, and then top with the remaining biscuits. The biscuits will stay fresh for 2-3 days if stored in an airtight container. The unfilled biscuits can be frozen for 2-3 months - defrost at room temperature.